JH Basketball Teams and Cheerleaders wrap up a great season! The Junior High girls finished up a 16-0 undefeated season by defeating Walnut Grove in the PCL tourney championship. The girls also finished first at the Morrisville Tournament. The Junior High boys finished with a 14-2 record also finishing first in the PCL tournament and the Morrisville Tournament. Special thanks go out to Mrs. Ochner and our Junior High cheerleaders who did an excellent job all season long getting fans involved and providing support for the teams. 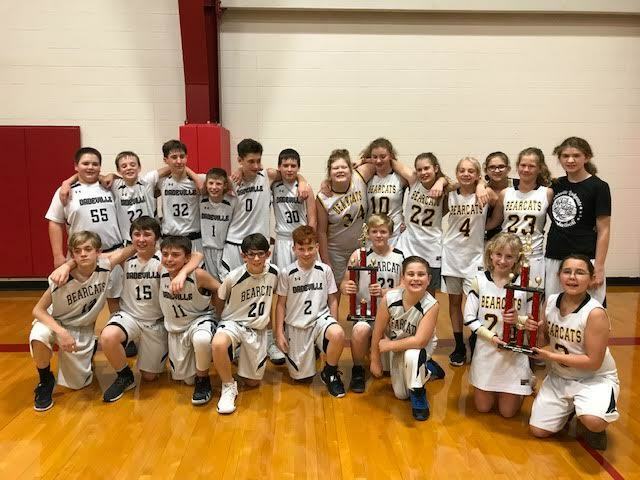 Great season Dadeville Junior High students!